on the Vanguard online store to receive 20% off every purchase. While this is a camera bag designed for the outdoors, you can still use it weather you’re hiking a mountain or just travelling down the road. 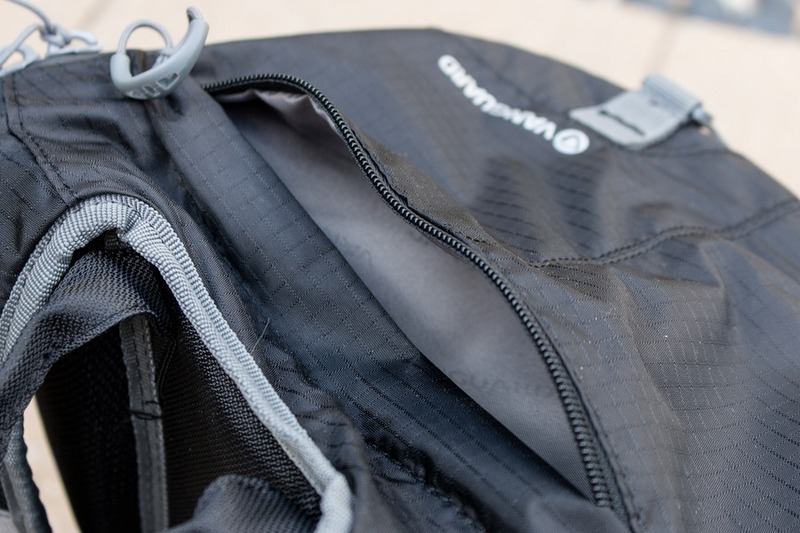 The flexible internal format means it can be easily converted between "day pack" mode and "full gear backpack" mode. In fact it could be used for work or school by removing the padded Velcro inserts. 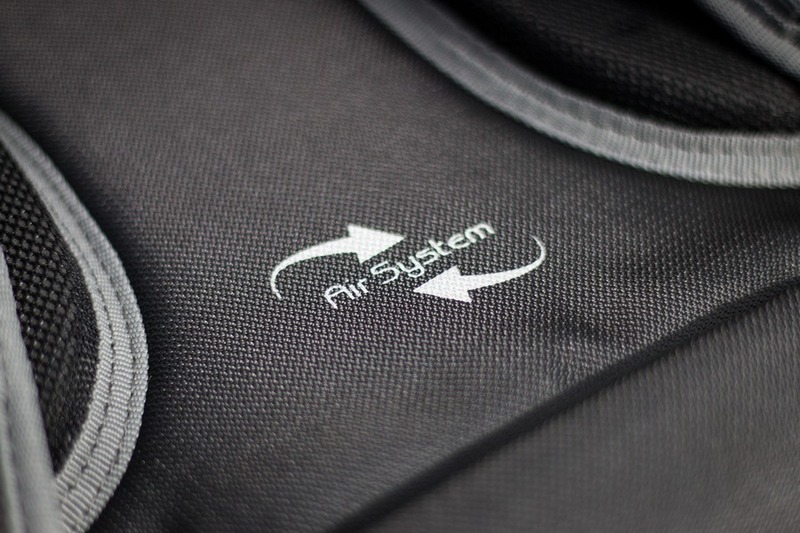 The lightweight Nylon fabric is stitched using a unique grid method that is used in parachutes. So if, in the unlikely event, the bag develops a tear, it will halt at the nearest stitch and prevent further damage. I found extra peace of mind knowing my gear wasn’t going to fall out. On top of that the heavy duty seams and rugged zips felt like I could throw a lot of weight into the bag without a sweat. The bag has been well thought out and executed with both obvious and subtle features. Conveniently located loops are intended to hook up a caribena or additional gear. 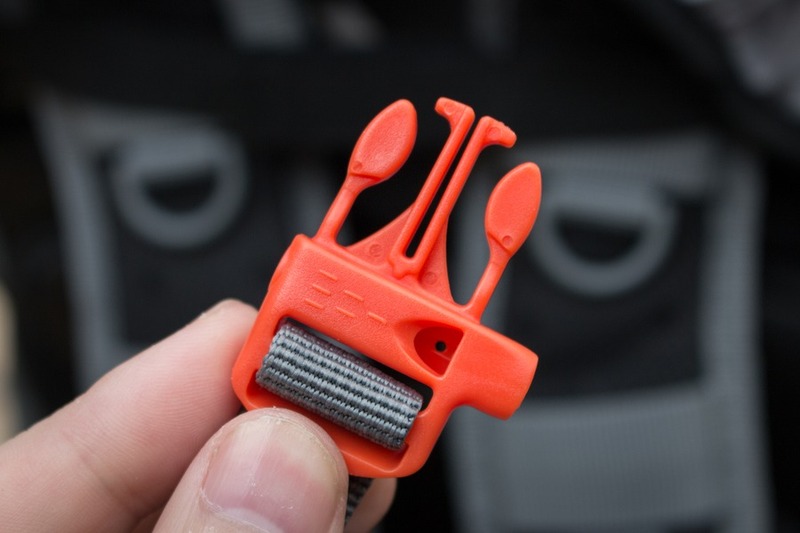 Or if you’re planning a long hike or camping, a small tent or sleeping bag could be held down by the small clipped straps at the top. 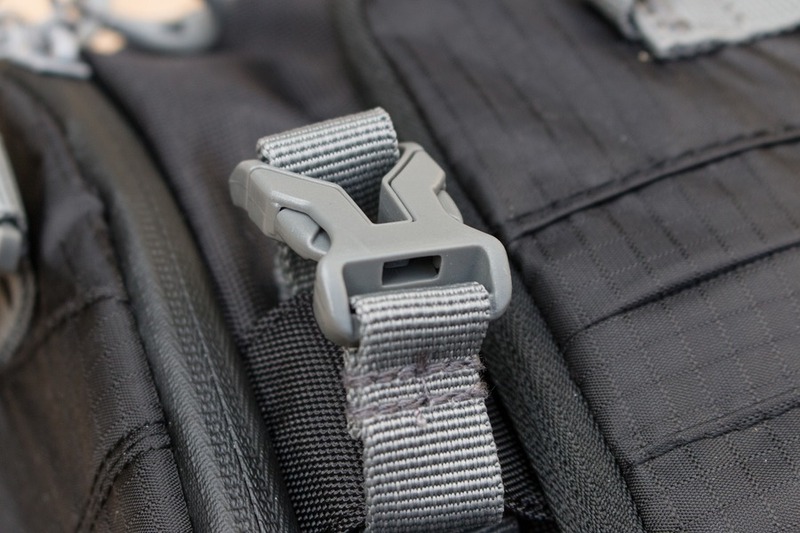 The wide shoulder straps are padded to evenly distribute the weight, plus a padded adjustment harness wraps around your waist to keep a heavy load stable on unstable terrain. 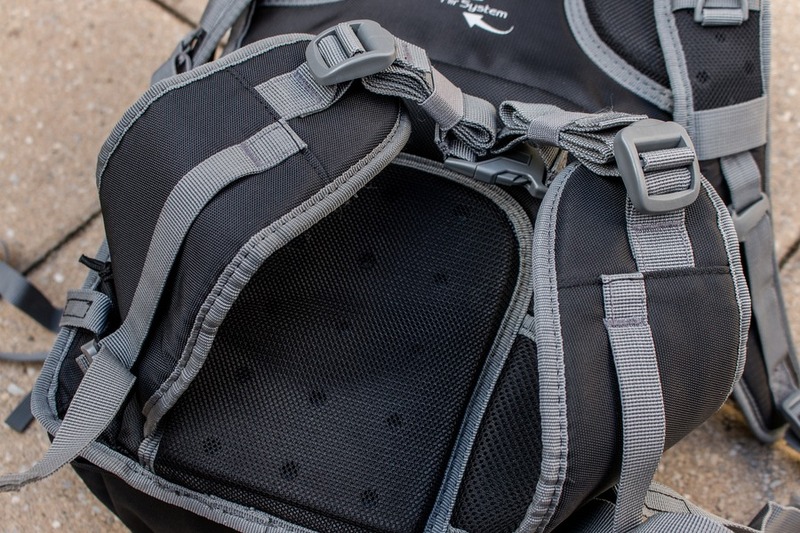 The ergonomically padded back panel allows much-needed air circulation if, like me, you get sweaty on those long (or short) hikes. A compact tripod, monopod or walking stick can be fit in either the side pocket (when it’s not be used to hold a drink bottle), utilising a thin elastic hooked strap to keep it in place. 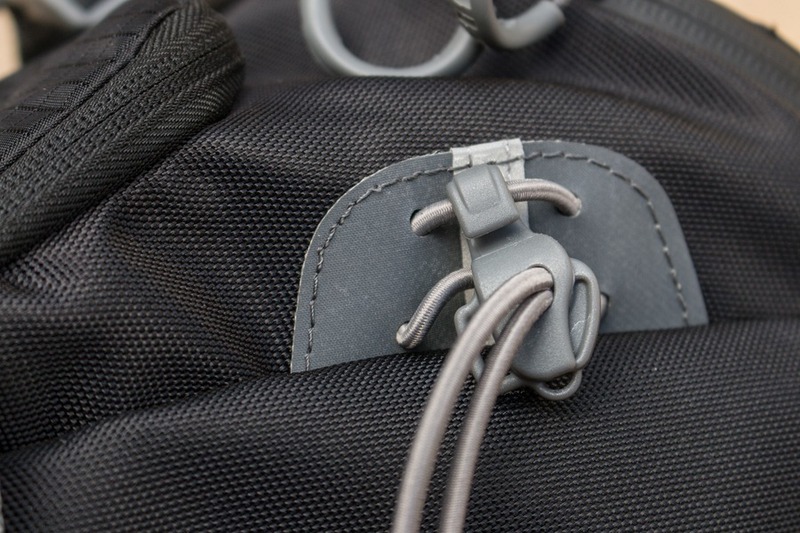 Alternatively 2 adjustable straps can hold a larger tripod in the middle of the bag. 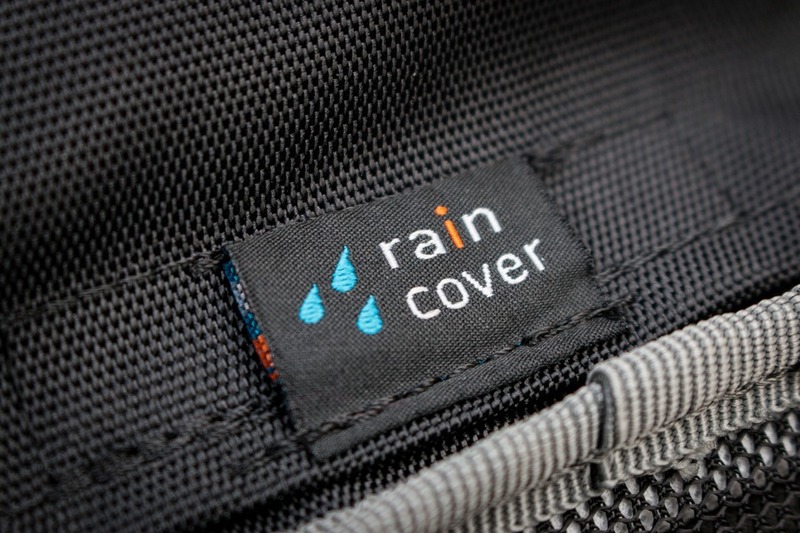 If the heavens open when you're away from shelter, disaster is dodged with the built-in rain cover that is compactly stored at the bottom of the bag. 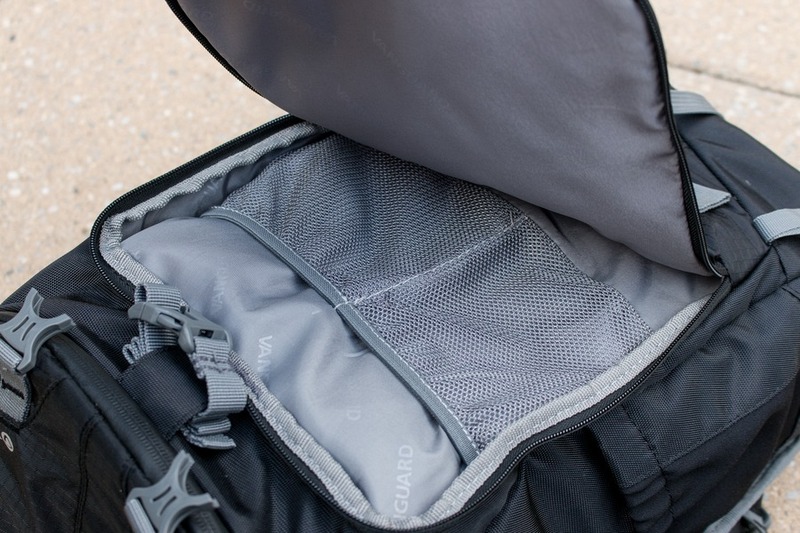 The front pocket contains meshed elastic lining to keep memory cards, batteries and cables contained. And a small tablet could probably fit in there as well. 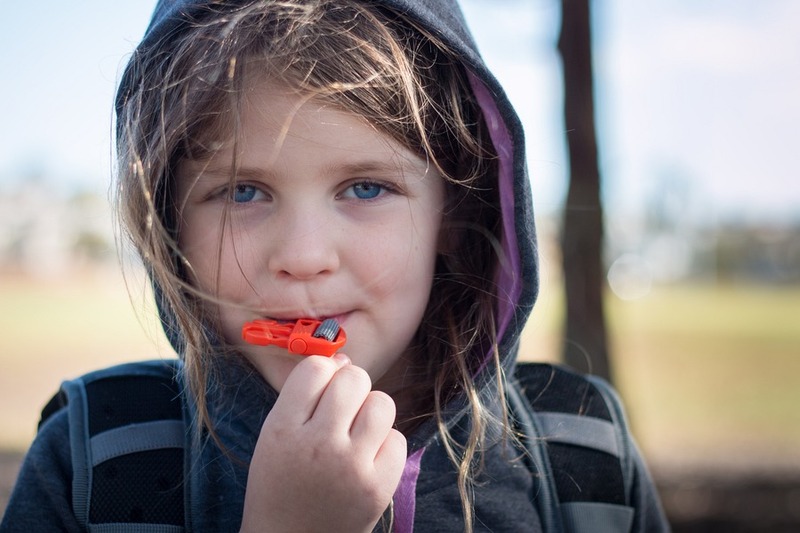 My daughter’s favourite feature was the orange emergency whistle integrated into the chest strap. I can see how that would be useful in a tight spot. At first it seems a little backward to have the main zipped compartment at the rear of the bag. Usually it feels more natural to place the bag shoulder straps down and open it up. 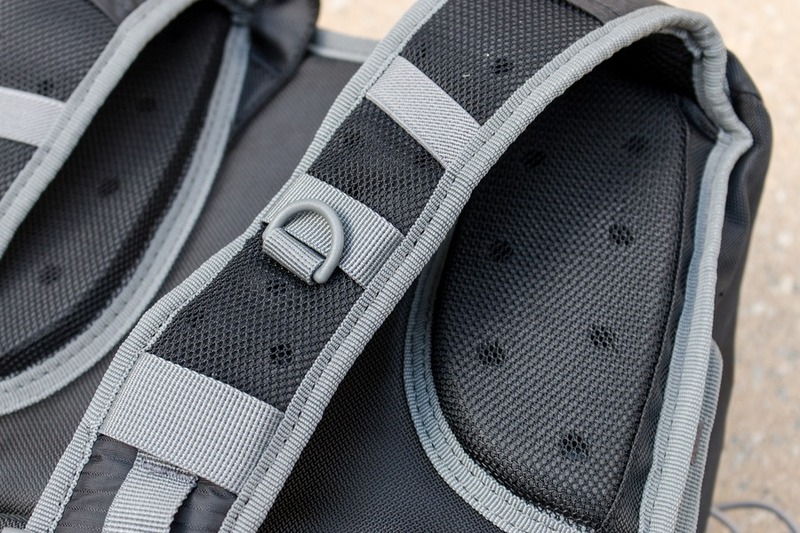 In the case of the Sedona it needs to be flipped with the shoulder straps upward. After getting used to this I realised it actually is a good idea, especially when out and about and the bag gets placed on the dirty, dusty or wet ground. By keeping the shoulder straps on the top means they are clean and dry. After all, that’s the part which stays in contact with your clothing and body. If you’re wearing the waist belt, then removing the shoulder straps and swinging the bag around to the front gives fast access to your camera and lenses without completely taking off the bag. I couldn't quite get used to this, but I guess with practice it would feel more comfortable. The top pocket looks like the photo below when you first get the bag. It can be used one of two ways - a small compartment for holding camera accessories, clothing, food or anything else you want. Or the padded bottom can be pulled out (don't worry, it's Velcro) and you have top access to the main rear camera storage compartment. This is ideal for the grab-and-go situation which I tend to find myself in most often. 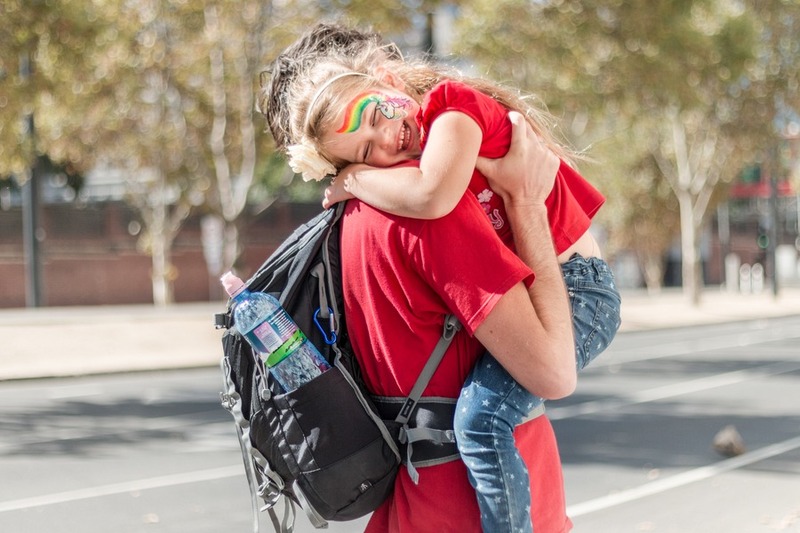 I took the bag out for a roam around Melbourne, Australia with my wife and kids and it kept up the pace in every category. The only minor weakness was holding a long, slim plastic water bottle in the side pocket which occasionally slipped out when swaying the bag due to the lack of friction with the smooth elastic pocket sleeve. 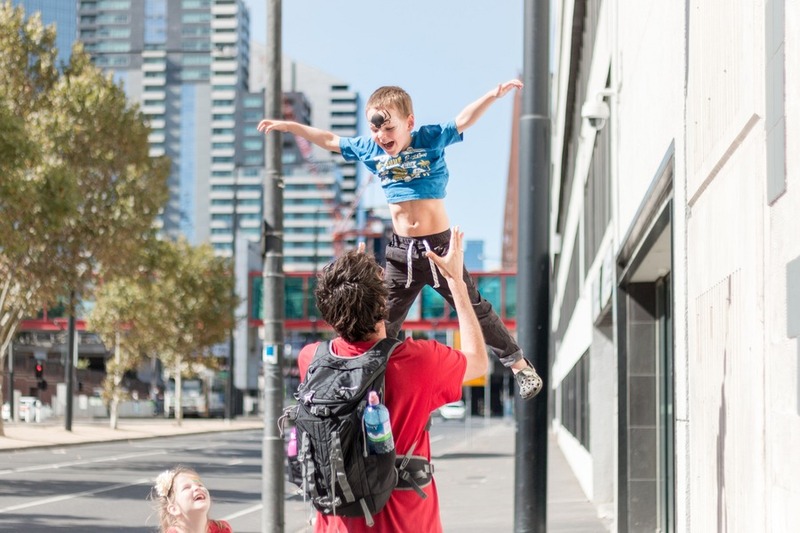 Keeping my hands free gave me plenty of opportunities to capture beautiful city scenes, but more importantly to look after the things that are most precious in life… my kiddies! 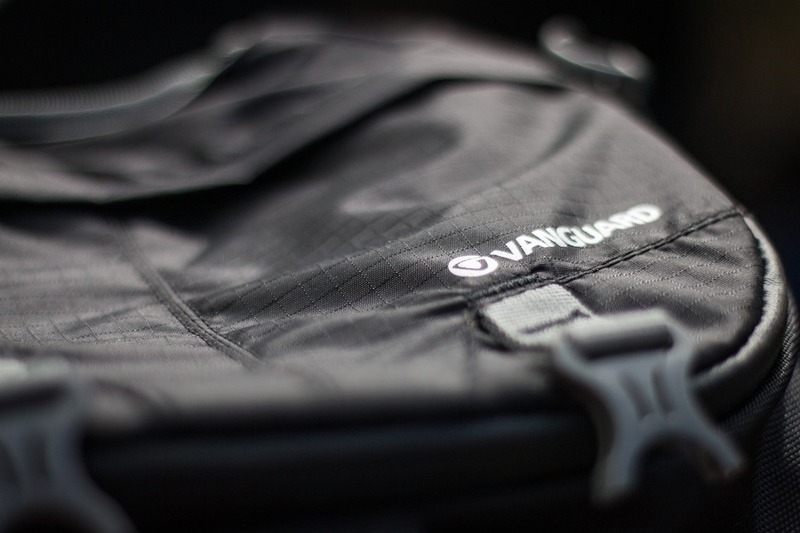 The Vanguard Sedona 45 backpack fits the bill for photographers needing their core gear within easy reach wherever they go. It also suits outdoor enthusiasts, even if they don’t have a camera. I give it my thumbs up, but I’ve only got one more challenge to overcome… how can I pry it out of my daughter’s hands now that she’s claimed it as her own? Where to buy: Teds Cameras (34 & 41 model), Camera House, Digi Direct. OMG!! This looks like the camera bag I've been waiting for! I HATE my Lowepro bag because it's SO heavy by itself. I've had a difficult time finding a lighter one with a decent waist/chest strap! Question-what size laptop can you fit? At first reading, I thought it was a regular backpack so I was intrigued. I'm looking for a multi-purpose backpack that will fit in the overhead bin of an airplane. So this won't work :-), but it seems well built and also well thought out. Are you saying that basically you can take out all the sections and have a bag to just put some clothing or other stuff in it? What are all the numbers? 45, 51, etc.? I mean, is that cubics? You could sell anything with your adorable daughter in the photo. @Anna This is surprisingly sturdy considering the lightweight material, and straps are very comfortable. I've got a 13 inch Macbook air which just fits (without any kind of protective sleeve) if I take the velcro separator out from the top. It can slide in but also covers up the rear entry point. So it would be fine for "full gear backpack mode", but not for day to day use (not that I take my laptop around every day). 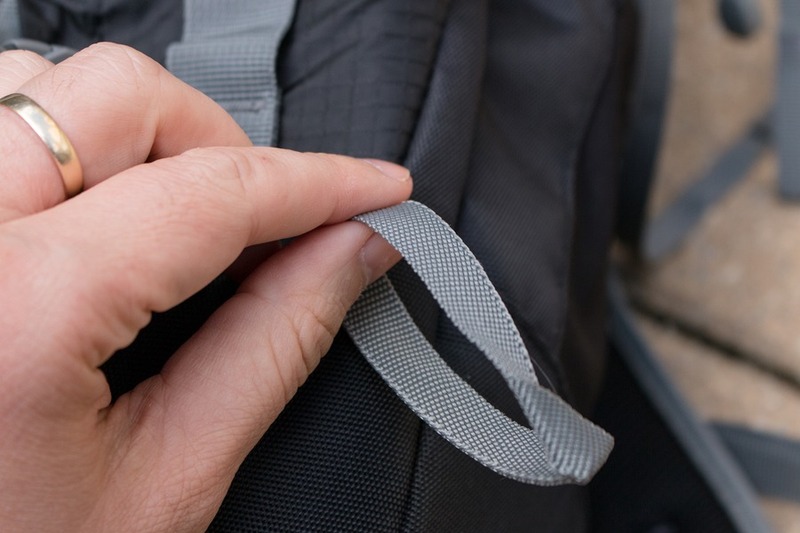 @Kerwin Yes, it can be used as a multi-purpose backpack if you remove the velcro inserts and it should fit in the overhead bin of a plane too. I was able to fit bigger bags in before. But this particular bag is quite rectangular so it's very efficient in terms of space. I'm not exactly sure of the model numbers, perhaps litre capacity? The larger the number, then the larger the bag. If the 45 is a little too big for your taste there's a couple smaller models. But I'm a fan of this particular one as it's a good all-rounder. Hi, thanks for your detailed review, made me very interested in that that backpack. Would the front pocket be big enough to put my surface tablet (~18x29cm) in? Any chance this will hold a 150-500mm lens?